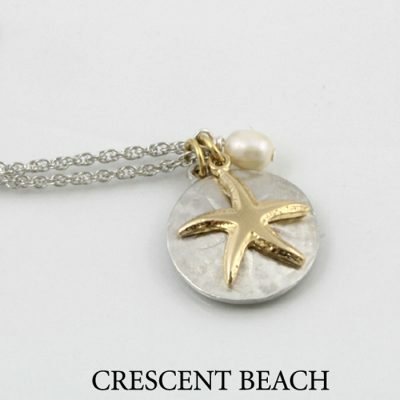 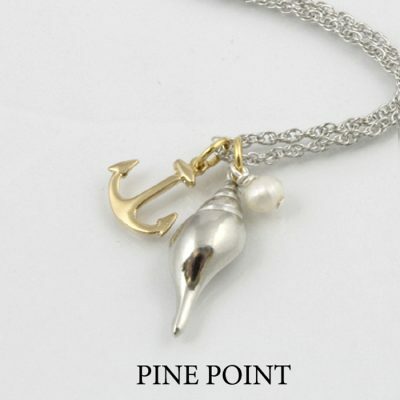 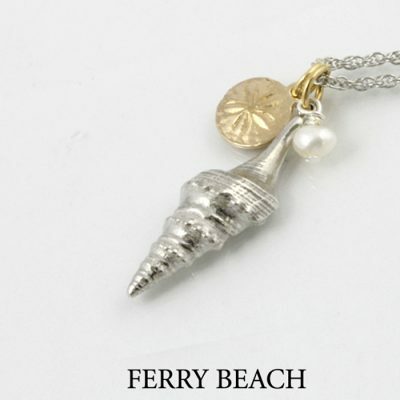 Pewter Cerith shell layered with gold plated sand dollar and pearl accent on an 18″ rhodium chain included with pendant. Add Cerith Shell drop earrings or Petite Sand Dollar to match. 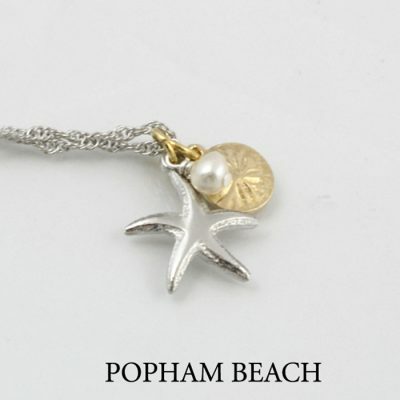 Pewter Cerith shell layered with gold plated small sand dollar and pearl accent on an included 18″ rhodium chain.